I recently received a Decision on a litigated Workers’ Compensation case finding that the claim was being disallowed because the claimant had failed to provide written and/or oral notice of her work related condition within 30 days after her injury. 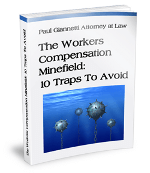 According to the strict letter of the law, Section 18 of the Workers’ Compensation Law requires such a reporting within 30 days. However, late filing can be excused by the Law Judge in certain circumstances. In our case, the Law Judge felt that there was no basis to excuse the late filing and my client, who has very severe back problems requiring surgery, is left out in the cold all because she did not promptly report her injury within the 30 day timeframe. While we are filing a formal appeal of the Law Judge’s ruling, the Decision highlights the importance of understanding your legal rights and responsibilities and acting on them quickly when you have been injured. If you have questions regarding a work related injury, please feel free to call our office for an explanation of your rights and responsibilities.